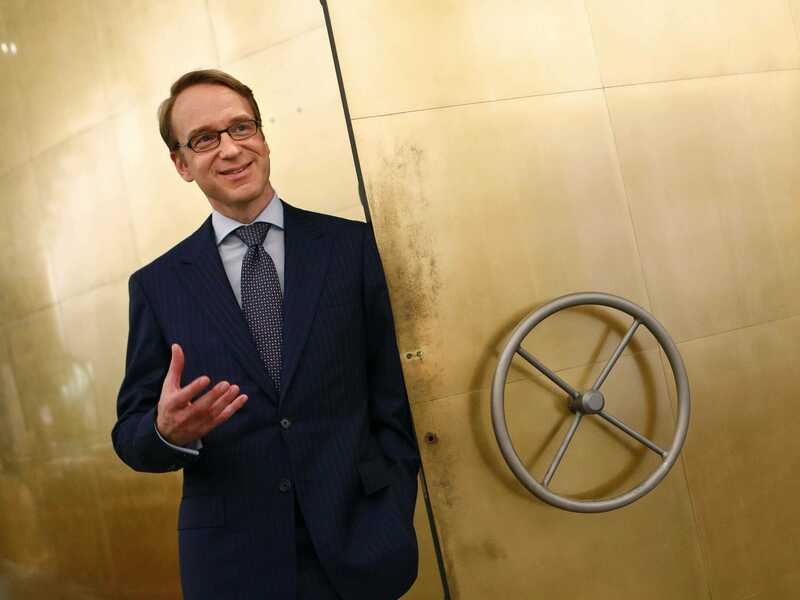 Bundesbank boss Jens Weidmann, the man most closely associated with Germany’s opposition to easier monetary policy, is slamming the brakes on expectations that the European Central Bank will finally go for quantitative easing (QE). The European economy is slowing down, and there is a danger of both a new recession and deflation across the continent. The ECB has already made money as cheap as possible for investors to borrow by holding interest rates down close to zero. QE would be the next step — a programme in which the ECB buys various assets from banks largely to inject new cash into the system. “Such purchases might create new incentives to run up debt, besides adding to the reform fatigue in a number of countries,” he cautioned. Nor was there any guarantee that quantitative easing would indeed have the intended impact on the economy, Weidmann pointed out. He added that Germany shouldn’t offer Europe a stimulatory boost with fiscal policy — i.e. government spending — either. Calls for Germany to increase its investment to help its partners amounted to nothing more than a plea for a common fiscal policy, he asserted. For another thing, Weidmann pointed out, such expenditure would do little to help countries on Europe’s periphery. ECB president Mario Draghi has hinted that the ECB will go for QE. BNP Paribas, Deutsche Bank, and Bank of America expect that the purchases of government debt will start in 2015. Draghi’s continued insistence that the ECB will add about €1 trillion ($US1.25 trillion) to its balance sheet would probably need full QE. The bank is already buying some bonds and securities, but the markets in those assets are probably too small to reach such a big goal. The ECB could push for QE without Weidmann, but it’s previously been keen to get unanimous decisions, so as not to alienate big European economies like Germany. These sort of comments might make some analysts rethink the likelihood of QE for Europe.